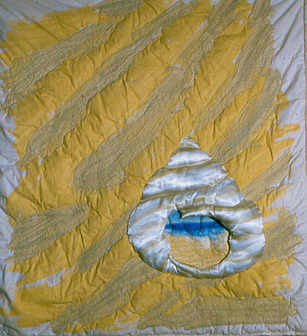 Early creative embroideries of the 1970s and 80s, incorporating paint+stitch+found objects, are better termed ‘mixed media’ today. I periodically return to these roots with small scale works featuring varied techniques. Roll mouse over each image for further information.